Everyone has a dream. A passion. You work hard, you get there. Right? But what if you don’t get there? Despair? It happens… Then what? Give up? Try harder? What if all this time, you’ve been going after the wrong dreams? What if the best part of life hasn’t even started? Ana Brassfield tries everything to be happy. An important career. A dream of dancing. A famous boyfriend. A move overseas. But all she experiences is a series of almost successes with a side of heartbreak. Then when she hits rock bottom, a stranger opens an unexpected door. Could she change her whole life? Should she? Or would this be another mistake in a life defined by rushed decisions and wrong turns? 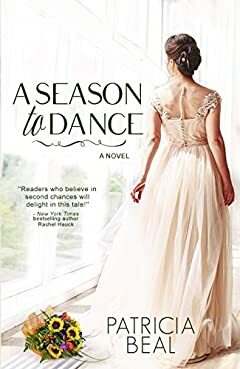 A Season to Dance is a journey. From hard to better. From striving to being. “Readers who believe in second chances and a twist in the Happily Ever After will delight in this tale!” –New York Times Bestselling author Rachel Hauck. “A story of grace in all forms, ultimate romance and finding spiritual center. Thank you, Patricia Beal!” –New York Times bestselling author Tosca Lee. Be part of the journey. For them. For the magic. For dreamers. For you. Written for the General Market (G) (I): Contains little or no; sexual dialogue or situations or strong language. May also contain content of an inspirational nature.